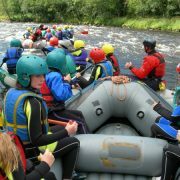 Discounts for under 16s who must be accompanied by at least one adult. 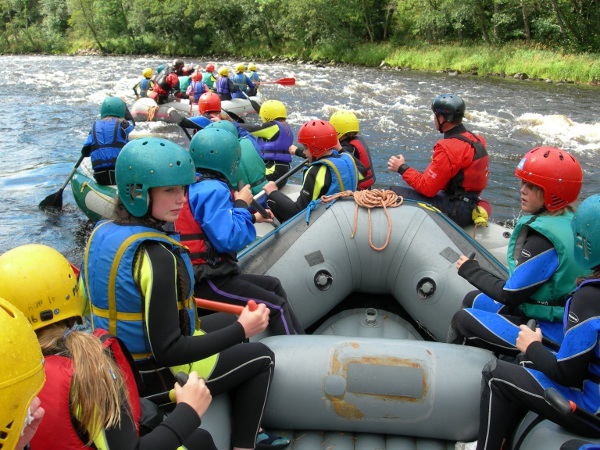 Pick up for activity is from Newtonmore, Kingussie & Aviemore areas. 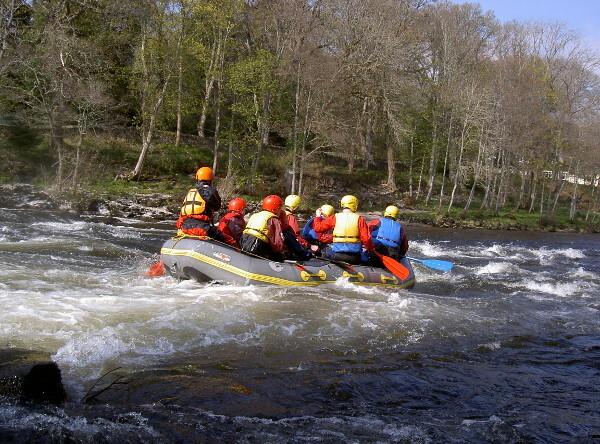 All technical & safety equipment is provided. 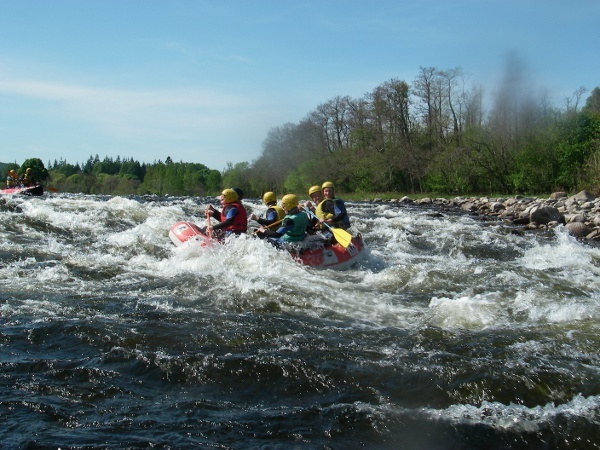 Our guides will select the most suitable river on the day. 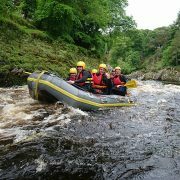 “We had a fantastic day!!!!!! 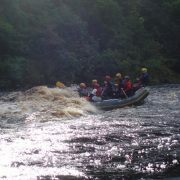 It was so much fun and Liam was a great guide!!! 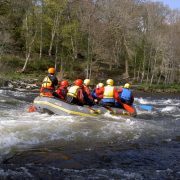 Very professional but good fun as well. 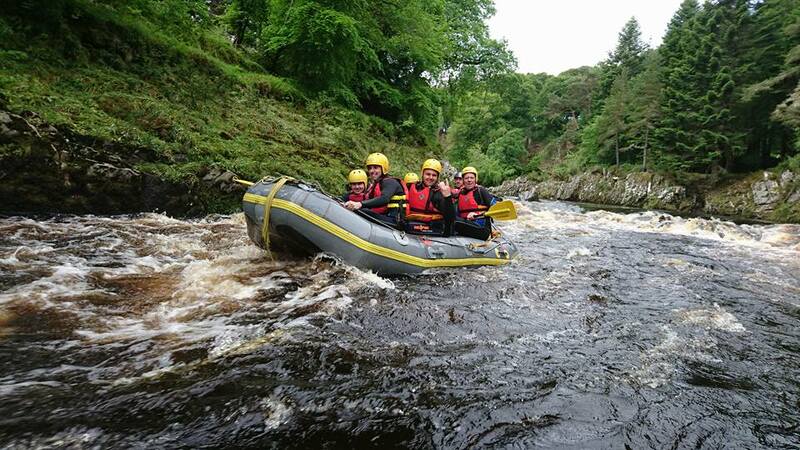 We would highly recommend this activity to anyone and we have been. 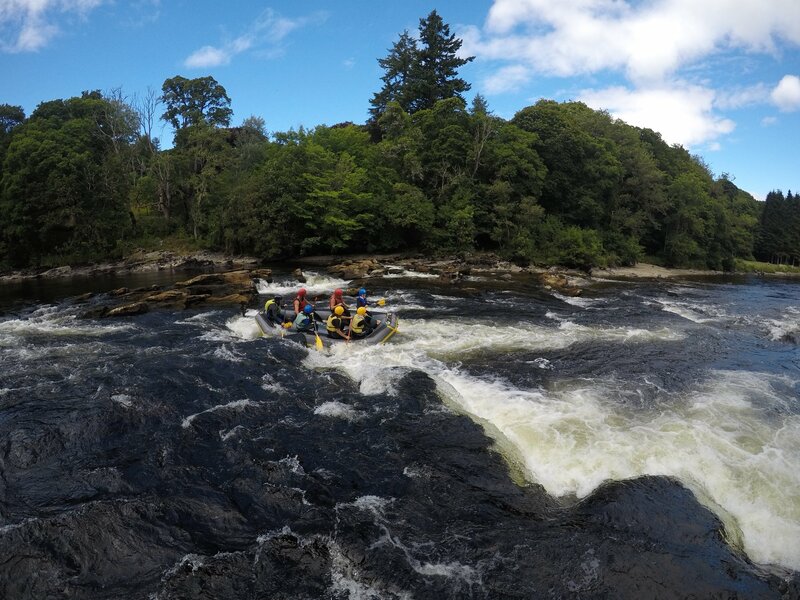 It was lovely to see our local area from a different perspective. 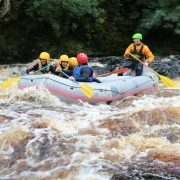 Rafting in Aviemore & throughout Scotland is one of our most popular and fun river experiences. 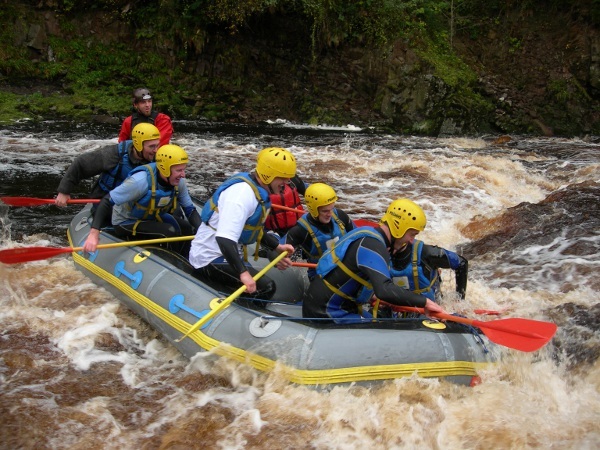 Active Outdoor Pursuits provide rafting on the best white water rafting rivers in Scotland. 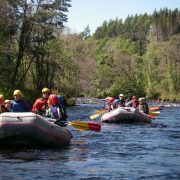 Our most popular rivers are the River Findhorn & River Spey. 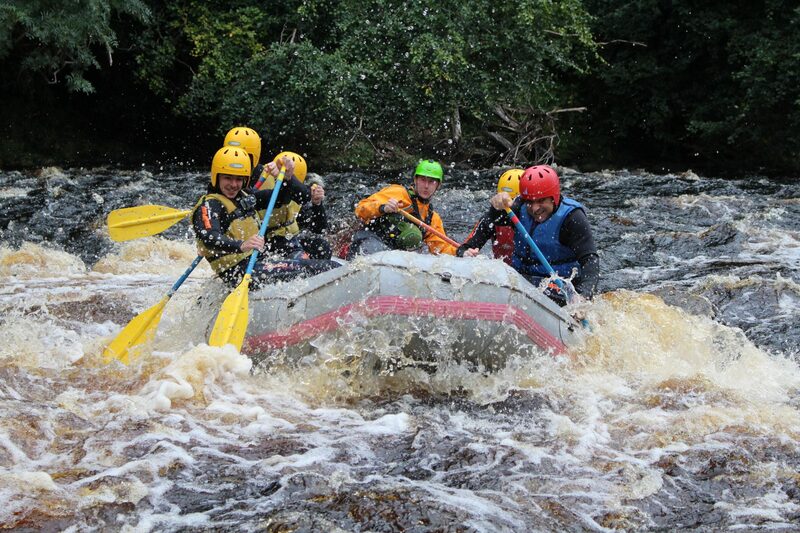 In Perthshire we raft on the River Tay and in South West Scotland we raft the Doon & Nith. 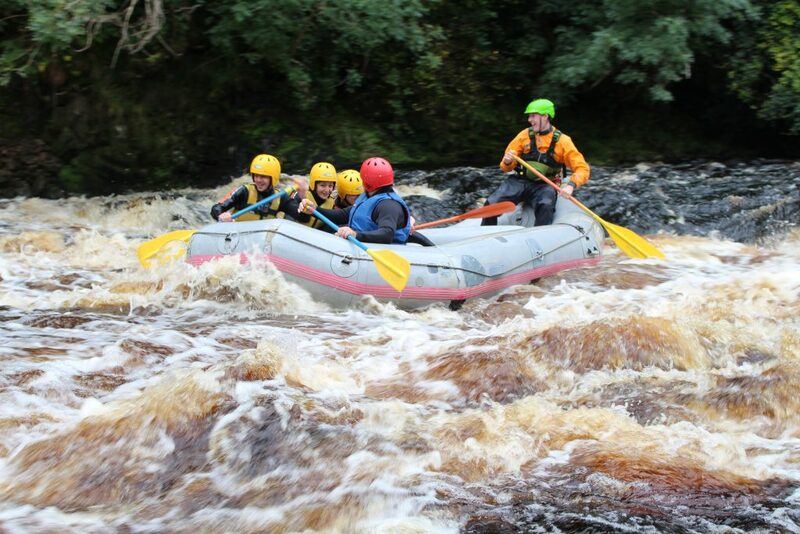 Rafting is a great fun activity for everyone. 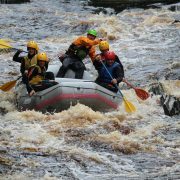 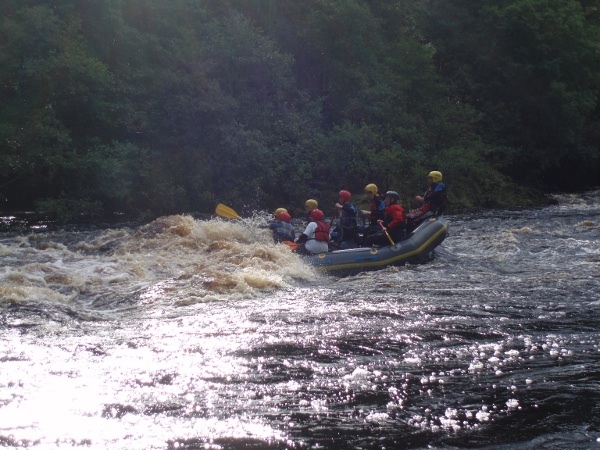 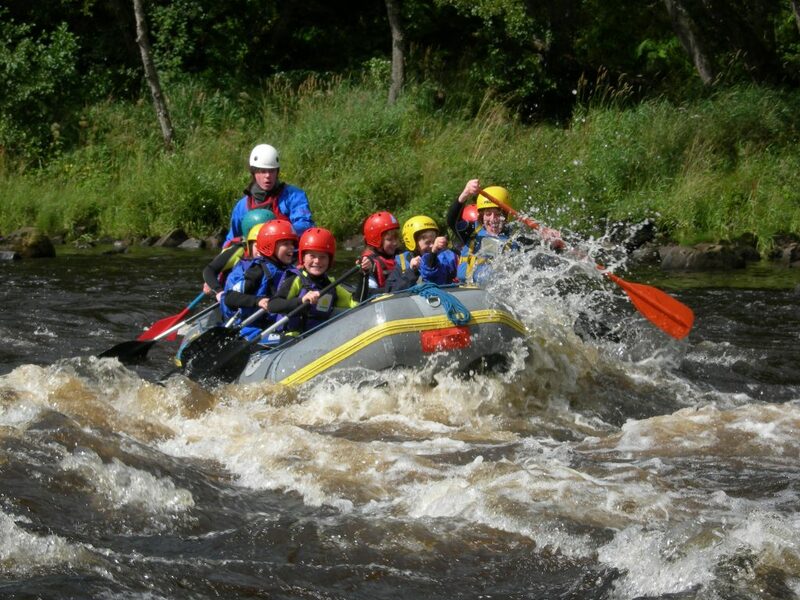 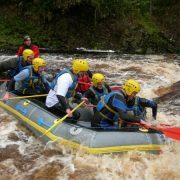 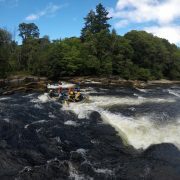 Families and young people can enjoy the bounce and splash offered on grade 2 river trips while adult groups such as stag and hen parties may opt for the more exhilarating experience on the River Findhorn. 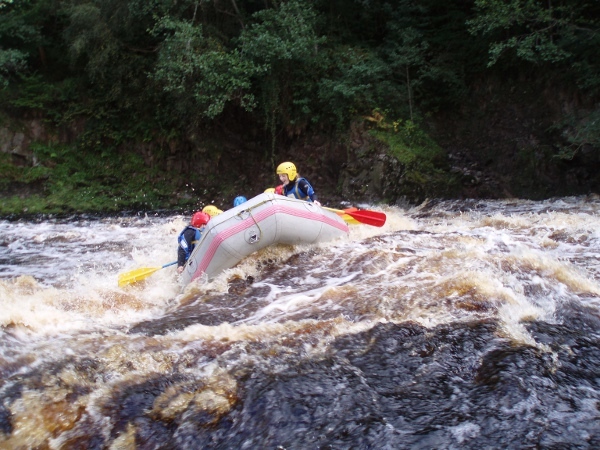 White Water Rafting is an all year round activity. 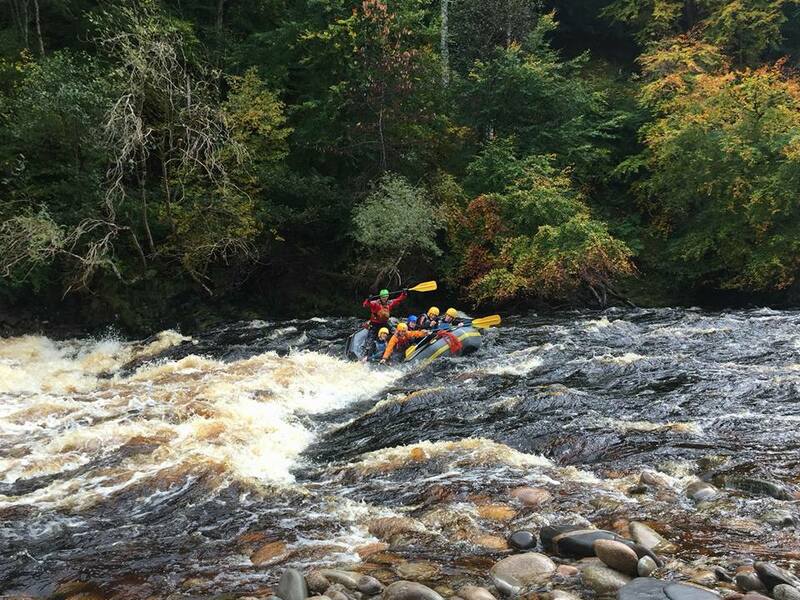 River conditions can vary with the seasons. 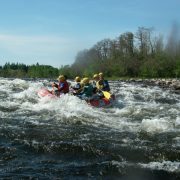 The conditions are generally pleasant in Summer with warmer temperatures, the higher water levels are normally during the Spring/Autumn. 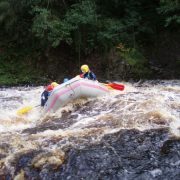 During the summer months, river levels can be low and heavy rainfall is required however, we should always be able to find a raftable river. 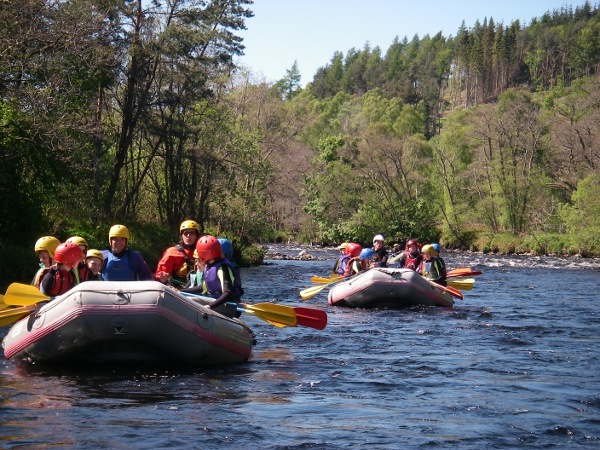 No previous experience is required although there are variable age limits for each river. 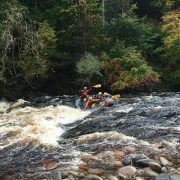 Want to try out some other great adventures? Why not check out our canyoning days!